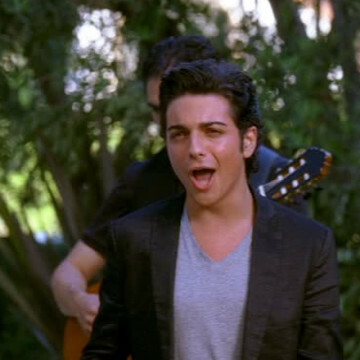 Gianluca Ginoble appears in a single scene of Entourage’s final episode and is discussed in another. After Sarah Gold insists that Ari listen to Il Volo’s demo (a real opera trio for which Ginoble sings baritone), the agent invites the group to perform at his home for Mrs. Ari. The entire trio is introduced about 21 minutes into the episode.